Police are warning CTA passengers about two incidents in which men sexually abused and robbed female passengers in the past two weeks. Shortly before 1 p.m. on March 21, a woman was riding the Green Line near the Morgan station when a man approached and asked for food. The offender then touched the woman’s genital area, took her phone, and ran from the train, according to a community alert issued late Friday night. Police said the offender is a black male who stands 5’5” to 5’7” tall and weighs 120-140 pounds. He was wearing a black jacket and black jeans. 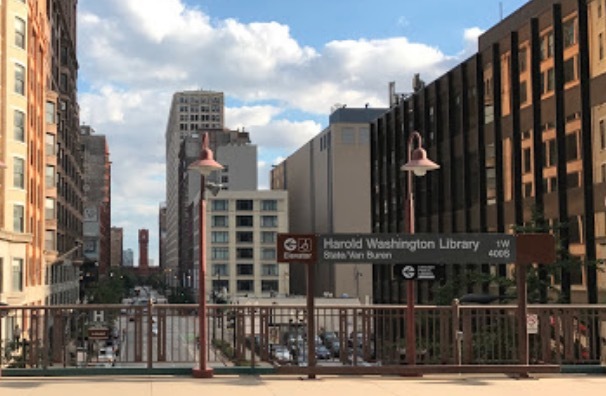 Then, around 1:30 p.m. on March 26, two men followed a woman onto an elevator at the Harold Washington Library/State-Van Buren train station. The men asked the woman for money. When she refused, the two began kissing the woman and one of the men made contact with her genital area, police said. Anyone with information about these incidents may contact Area Central detectives at 312-747-8380 regarding crime pattern #P19-1-113. Support CWBChicago's reporting team with a monthly or annual subscription.